In American culture, you will not find two more explosive terms. Less than a decade ago, marches, demonstrations, lobbying efforts, and political speeches fueled the abortion debate. We, however, had to wait for the morning paper or the evening news to hear about it. Now, with social media’s stranglehold on our lives, it’s in our face constantly. My wife and I have many friends who’ve adopted. We’d hear their stories and think, ‘Wow, that’s nice.” But we were certain adoption was not for us. She would mention it from time to time, but I resisted. We were busy building our lives and our family. I secretly hoped she would forget. But in the last few years, God turned up the heat. Through things like more friends who adopted telling us their stories, lyrics to songs, and simple reminders that life isn’t supposed to be about us, God kept pushing us to adopt. She consented first, and I grudgingly followed. We reluctantly obeyed. But through this process, God has changed our hearts. We’re now in the final stages of the adoption process through the foster care system. It’s required a lot of time, paperwork, conversations, and prayers. Why would we do this? Why would we add all this craziness to our lives? 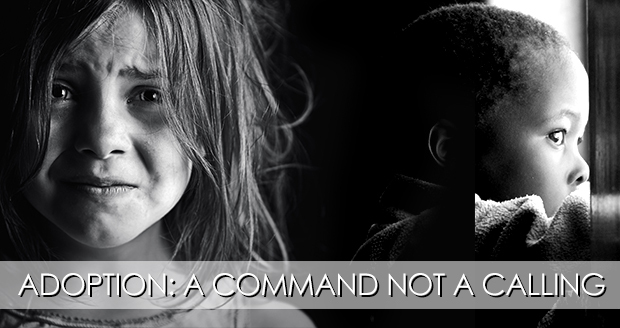 Because adoption, to us, isn’t simply a matter of helping a child. It’s at the core of our faith. It’s something we must do. 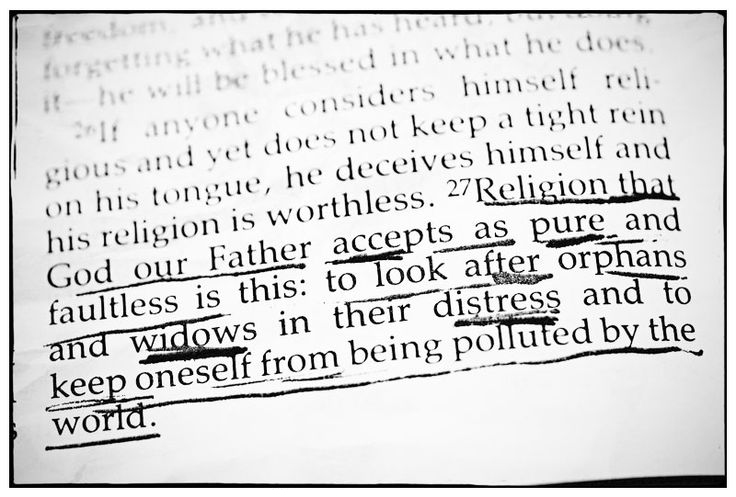 The Bible says this in James 1:27, “Pure and undefiled religion before our God and Father is this: to look after orphans and widows in their distress and to keep oneself unstained by the world.” Many Christians get the last part–we’re supposed to change our minds and lives about sin. 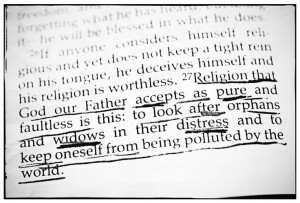 But many of us have silently ignored the first part–to help orphans and widows in their distress. Yes, we click “Like” on a friend’s Facebook status when they post about their adoption. Yes, we comment on their posts about how amazing they are for being so selfless. For people who are Christians, adoption is not something to which God only calls a few. It’s a matter of obedience. And clicking “Like’ on a Facebook status and is not obedience. We cannot say we are pro-life unless we are willing to obey God and actively care for orphans, whether it is through foster care, adoption, or providing our time, skills, and money to people who do. If we are unwilling to do so, then we can only honestly say that we are pro-birth. Adoption is so expensive. Private and international adoption is expensive. The families that choose to go this route definitely (and literally) count the cost. But going through the foster care system is profoundly inexpensive. Laura and I have spent less than $100 through this process. If you truly want to give a child a loving home through adoption, you do not have to mortgage the moon to do so. But isn’t adopting through the foster system, well, risky? Define “risk.” Is there a risk that, during the process, a child could be reunited with their birth family? Yes. That’s the goal of foster care, and it’s a risk our family is willing to take. Is there a risk that the child will have some issues, be they physical, mental, and emotional? Yes, and through the process of foster-to-adopt, our family has learned our limits. There are certain things we are not prepared to handle, and our agency has been great about helping us discover the issues we can handle. But there are plenty of things we are capable of taking on with a child. Life is risky. Don’t let fear stand in the way of obedience. Well, we’re just not in the right place to add another child to our family right now. Financially, there’s never a “right place” to adopt. Something always comes up–the car will break down, the roof will leak, your kids will all need braces. All of us have made dumb money mistakes–buying the iPhone the day it came out when we really couldn’t afford it, running up a pile of credit card debt. Get a grip on it, put a plan in place, and work toward resolving those issues. 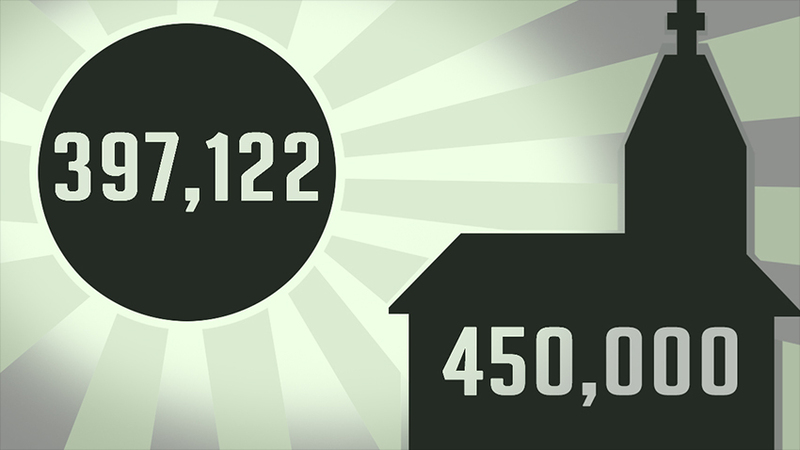 Don’t allow a financial pipe dream to get in the way of adopting a child that needs a family. Some say, “Well, I don’t have room in my house.” There’s no law that says every child must have their own room. Get some bunk beds. Curb your dining out and Starbucks habits. Give up season tickets for a year. Why sacrifice these things? Because a child living in neglect and suffering abuse isn’t in the right place. It’s just not convenient at this point in our lives. You know who else uses this reasoning? Those who are pro-choice. Christians, if we believe convenience is a poor reason to abort, then it’s a sinful reason not to adopt. And when did living in horrible circumstances of neglect and abuse become convenient for a child? Yes, adoption requires sacrifice. But that is exactly what we are called to do. Convenience is just a cloak for selfishness. We know we should adopt, but… This says, in not so many words, that we don’t care beyond a social media hashtag. It says that our lives that we’re building–our careers, our families, our possessions–cannot be inconvenienced for a child who desperately needs the love and compassion of a family. It #ShoutsOurDisobedience. I do not mean this post to sound judgmental. There are reasons for people not to adopt, but they are much fewer than the reasons to adopt. I’m ashamed to say that I have used all of these excuses. This year, God showed me how pathetic they really were. I reluctantly obeyed, kicking and screaming the entire way. And God has changed my heart. I’m praying for this child whom I have yet to meet, that God will use our family to love them unconditionally. I beg and plead with you to do the same for a child that needs a loving home–your home.